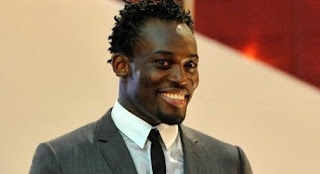 Midfielder Michael Essien has had a set-back in his recovery and will miss the Africa Cup of Nations. The Ghana international has been out since July after he ruptured his anterior cruciate ligament and meniscus during pre-season training. There had been hope that he would return early, but Andre Villas-Boas has ruled this out. "We're looking at mid-January, that's the best we can think about," said the Portuguese. This new estimate is a month longer than they first predicted and Villas-Boas confirmed it would likely prevent him representing his country at the showpiece African tournament in January. "There was a set-back at the beginning of December, if I'm not wrong, which took him back 10 days and that's extended into January," he added. "So I don't think he will go to the African Cup of Nations." Essien has been dogged by serious knee injuries in the past three years and this latest set-back will come as a blow. The former Lyon man’s last long-term knee injury restricted him to just 14 appearances during Chelsea’s double-winning season in 2009/10. Chelsea’s medical staff were reported to have thought the 29-year-old’s overdeveloped upper leg muscles putting too great a strain on his knees to be the root of his persistent knee problems.